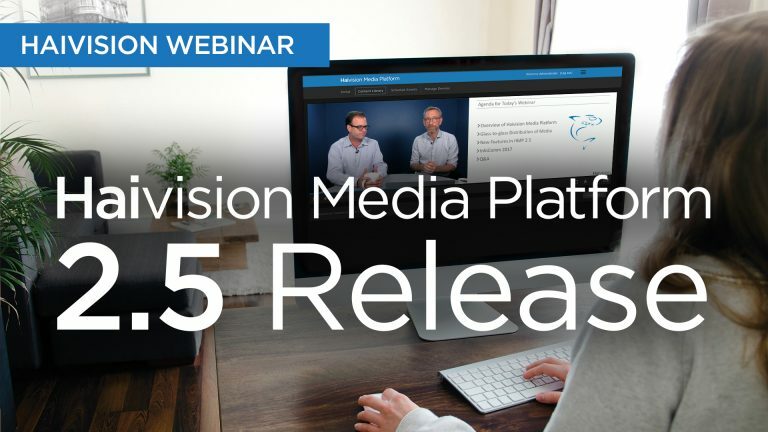 Learn about the latest features in the Haivision Media Platform, the enterprise video solution for webcasting all hands, video-on-demand, IPTV, and training. Hosted by our VP of Product Management, Zip Zieper, and our Senior Director of Product Marketing, Marcus Schioler, this webinar explores how the Haivision Media Platform can help you work with video even more efficiently. Compliance to security standards for increased safety across information systems and organizations. Support for North American closed-captions and alternate language track selection. Support for content watermarking, text crawl, and Electronic Program Guide data view with the Haivision Play Set-Top Box.